A while back, I was provided the opportunity to have the ’40 Ford stake truck in the studio for a photo session. 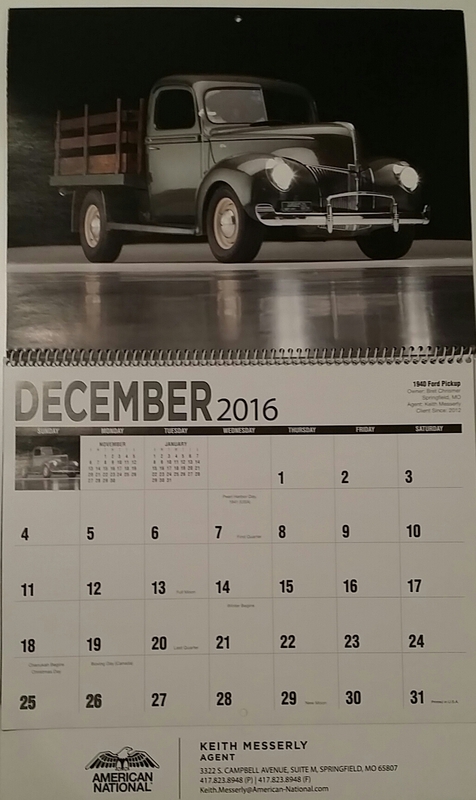 I posted some of my photos, that I took during the session, but here is one of the real ones, that Dan Rockafellow shot, and made it’s way into the 2016 American National Insurance collector car calendar. I am truly blessed to be the caretaker of the truck, thanks to my great-aunt trusting me with that responsibility. I’m always amazed where this little truck takes me.